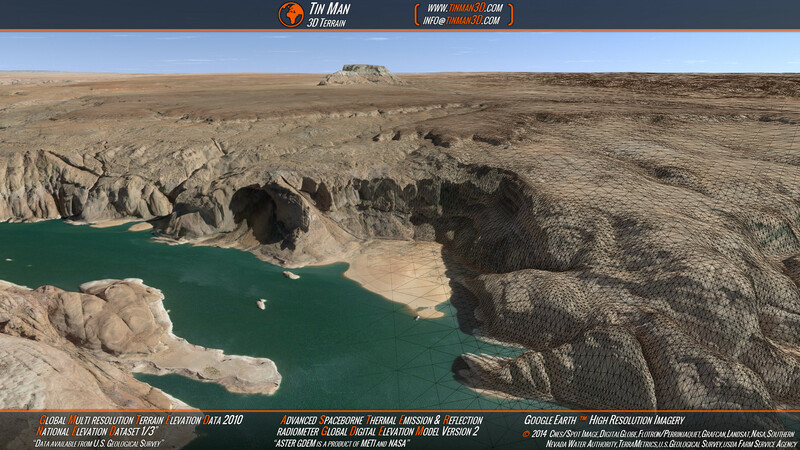 2019-04-01 Preview of Tinman 3D SDK RC4 is now available. 2018-10-31 The Tinman 3D SDK is now available via Git. 2018-09-13 Permanent 70% discount on all Source Code packages! 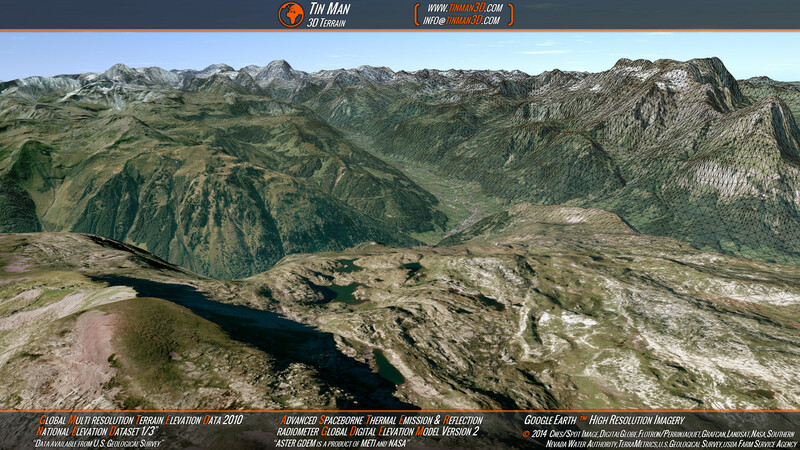 Tinman 3D consumes arbitrary amounts of geodata and processes them into ready-to-use terrain modules. At runtime, these terrain modules are combined in order to create a coherent and highly accurate 3D representation of the terrain: a seamlessly textured and adaptive continuous level-of-detail triangle mesh. 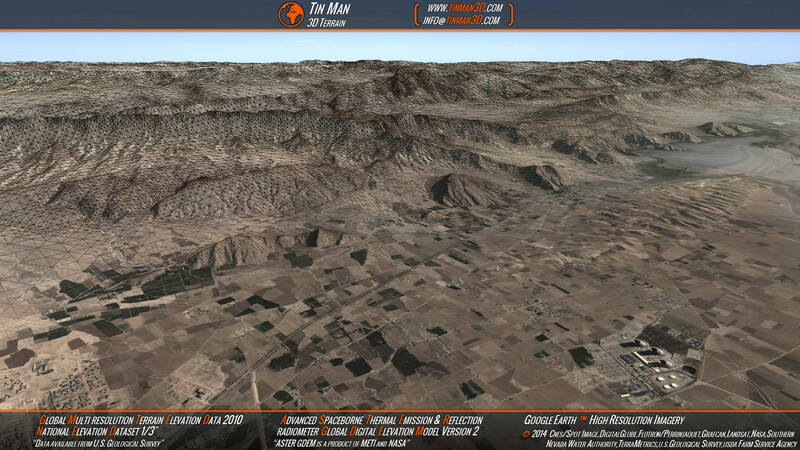 This terrain mesh is used for interactive rendering, real-time spatial analysis and data export to other software applications (for example as a part of the content pipeline). Integration into existing software is easy: the Tinman 3D SDK is self-contained and has no mandatory 3rd-party dependencies. It is available in separate editions: C++ (ISO/IEC 14882:2011) and C# (language version 4). Tinman 3D is based on flexible abstraction layers, which enable it to run on any platform (e.g. 32-bit, 64-bit) and on any operating system (e.g. Windows, Unix). Real-time rendering can be performed through any modern graphics API (e.g. Direct3D, OpenGL). Rendering a terrain with the Tinman 3D SDK is simple: only one vertex / index buffer is required. Advanced culling and batching techniques ensure optimal performance by minimizing draw calls. High throughput is easily achieved for multi-pass scenes. 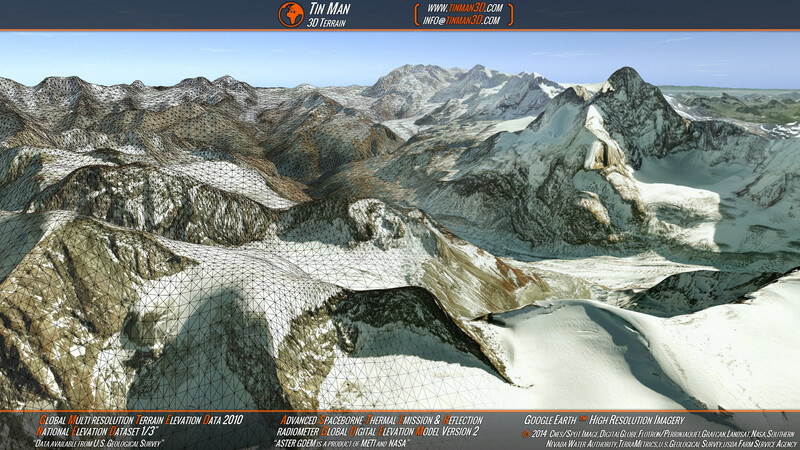 Tinman 3D generates seamless terrain geometry and textures. All vertices have well-defined tangent-spaces, enabling robust surface shading. 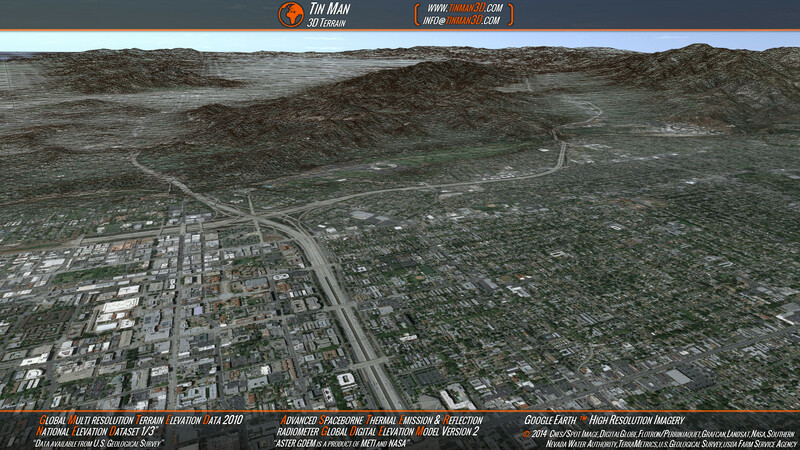 Efficient streaming and on-the-fly caching of terrain data is performed during runtime. 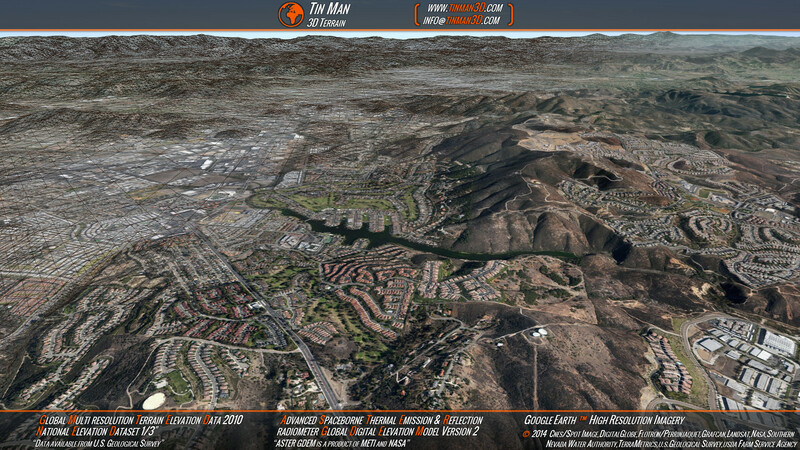 Receive notifications of Tinman 3D updates and new releases. Your data will be used for this newsletter only. 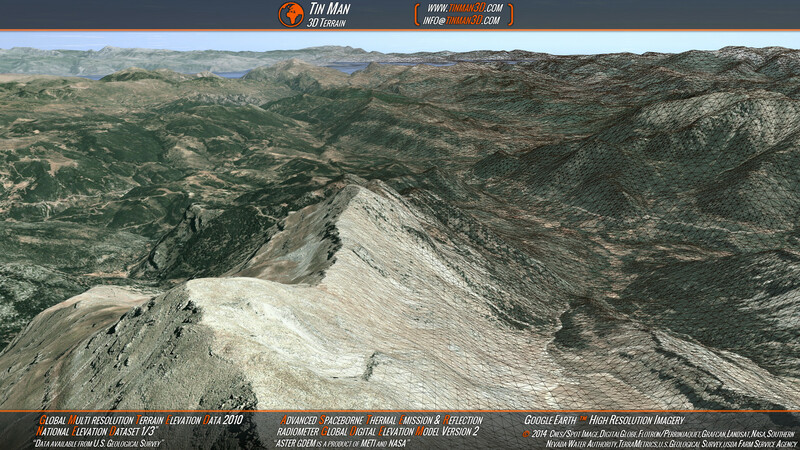 The screenshots and videos on this website have been screen-captured from the Tinman 3D Demo application (using FRAPS). Cloddy - an efficient algorithm for real-time 3D terrain rendering - is developed by Matthias Englert , the founder of Tinman 3D. The Cloddy SDK is an experimental software development kit - created by Matthias Englert , allowing the Cloddy algorithm to be integrated into any software. Matthias Englert co-founds BiteTheBytes, aiming to market the Cloddy SDK. Being a prototype, the Cloddy SDK provides elementary features only and lacks stability and robustness. Despite its premature state, it does prove its commercial value in the industry. At E.I.G.A. 2010 (European Innovative Games Awards), the Cloddy SDK wins the Advancement Price in category T - Innovative Technology - Press Release / PDF . Airbus Helicopters (formerly Eurocopter) choose the Cloddy SDK as the terrain engine for their in-house E.V.E. software (Eurocopter Virtual Environment). Evans & Sutherland choose the Cloddy SDK as the terrain engine for their digital planetarium software Digistar . 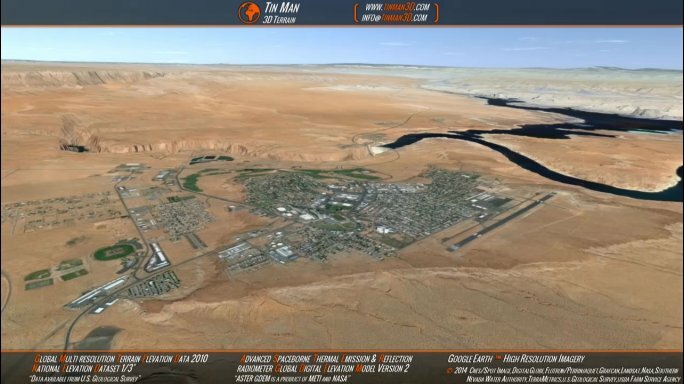 Flight Data Vision choose the Cloddy SDK as the terrain engine for their Professional Ground Station suite. United Navigation (Becker & Falk) choose the Cloddy SDK as terrain engine for the development of next-generation navigation systems. After leaving BiteTheBytes, Matthias Englert founds Tinman 3D and creates the Tinman 3D SDK , which replaces the deprecated Cloddy SDK prototype. BiteTheBytes continue to use the Cloddy SDK prototype as their in-house terrain engine. 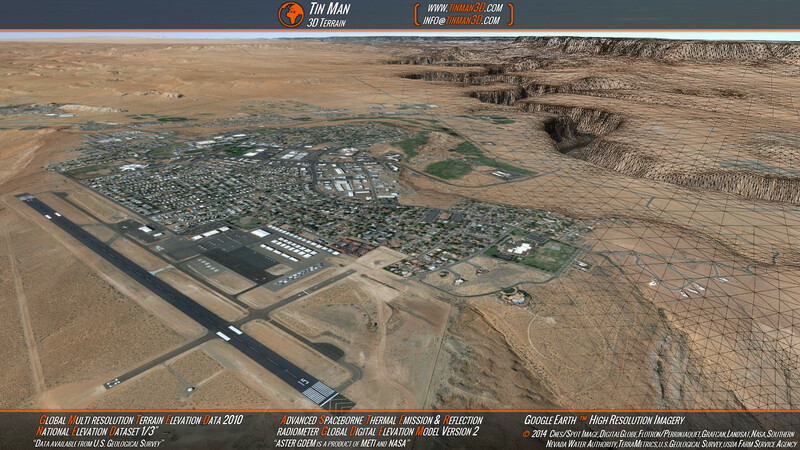 Flight Data Vision replace the Cloddy SDK with the new Tinman 3D SDK , allowing advanced terrain features to be used in their Professional Ground Station suite. Attending AIRTEC Congress as speaker and presenting the Tinman 3D SDK . 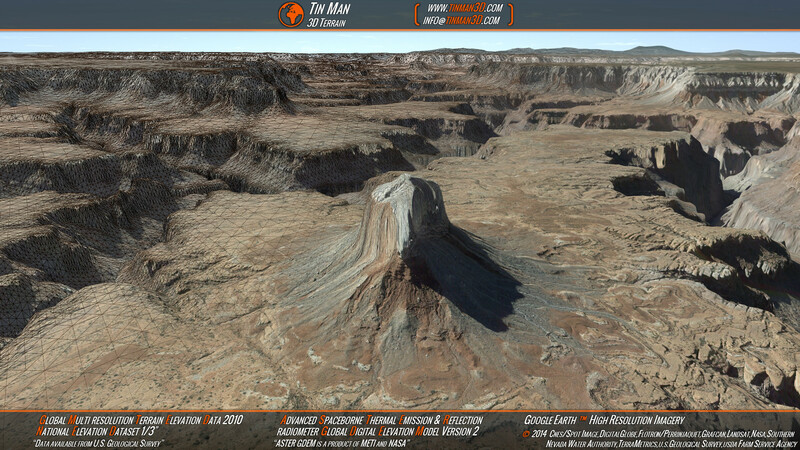 Evans & Sutherland replace the Cloddy SDK with the new Tinman 3D SDK , bringing exciting new terrain features to their digital planetarium software Digistar . We are very delighted that you have shown interest in our enterprise. Data protection is of a particularly high priority for the management of the Tinman 3D. The use of the Internet pages of the Tinman 3D is possible without any indication of personal data; however, if a data subject wants to use special enterprise services via our website, processing of personal data could become necessary. If the processing of personal data is necessary and there is no statutory basis for such processing, we generally obtain consent from the data subject. The processing of personal data, such as the name, address, e-mail address, or telephone number of a data subject shall always be in line with the General Data Protection Regulation (GDPR), and in accordance with the country-specific data protection regulations applicable to the Tinman 3D. By means of this data protection declaration, our enterprise would like to inform the general public of the nature, scope, and purpose of the personal data we collect, use and process. Furthermore, data subjects are informed, by means of this data protection declaration, of the rights to which they are entitled. As the controller, the Tinman 3D has implemented numerous technical and organizational measures to ensure the most complete protection of personal data processed through this website. However, Internet-based data transmissions may in principle have security gaps, so absolute protection may not be guaranteed. For this reason, every data subject is free to transfer personal data to us via alternative means, e.g. by telephone. The data protection declaration of the Tinman 3D is based on the terms used by the European legislator for the adoption of the General Data Protection Regulation (GDPR). Our data protection declaration should be legible and understandable for the general public, as well as our customers and business partners. To ensure this, we would like to first explain the terminology used. Controller for the purposes of the General Data Protection Regulation (GDPR), other data protection laws applicable in Member states of the European Union and other provisions related to data protection is: Matthias Englert, Zirkenbacher Strasse 41, 36041 Fulda, Germany. The website of the Tinman 3D collects a series of general data and information when a data subject or automated system calls up the website. This general data and information are stored in the server log files. Collected may be (1) the browser types and versions used, (2) the operating system used by the accessing system, (3) the website from which an accessing system reaches our website (so-called referrers), (4) the sub-websites, (5) the date and time of access to the Internet site, (6) an Internet protocol address (IP address), (7) the Internet service provider of the accessing system, and (8) any other similar data and information that may be used in the event of attacks on our information technology systems. When using these general data and information, the Tinman 3D does not draw any conclusions about the data subject. Rather, this information is needed to (1) deliver the content of our website correctly, (2) optimize the content of our website as well as its advertisement, (3) ensure the long-term viability of our information technology systems and website technology, and (4) provide law enforcement authorities with the information necessary for criminal prosecution in case of a cyber-attack. Therefore, the Tinman 3D analyzes anonymously collected data and information statistically, with the aim of increasing the data protection and data security of our enterprise, and to ensure an optimal level of protection for the personal data we process. The anonymous data of the server log files are stored separately from all personal data provided by a data subject. On the website of the Tinman 3D, users are given the opportunity to subscribe to our enterprise's newsletter. The input mask used for this purpose determines what personal data are transmitted, as well as when the newsletter is ordered from the controller. The Tinman 3D informs its customers and business partners regularly by means of a newsletter about enterprise offers. The enterprise's newsletter may only be received by the data subject if (1) the data subject has a valid e-mail address and (2) the data subject registers for the newsletter shipping. A confirmation e-mail will be sent to the e-mail address registered by a data subject for the first time for newsletter shipping, for legal reasons, in the double opt-in procedure. This confirmation e-mail is used to prove whether the owner of the e-mail address as the data subject is authorized to receive the newsletter. The newsletter of the Tinman 3D contains so-called tracking pixels. A tracking pixel is a miniature graphic embedded in such e-mails, which are sent in HTML format to enable log file recording and analysis. This allows a statistical analysis of the success or failure of online marketing campaigns. Based on the embedded tracking pixel, the Tinman 3D may see if and when an e-mail was opened by a data subject, and which links in the e-mail were called up by data subjects. Such personal data collected in the tracking pixels contained in the newsletters are stored and analyzed by the controller in order to optimize the shipping of the newsletter, as well as to adapt the content of future newsletters even better to the interests of the data subject. These personal data will not be passed on to third parties. Data subjects are at any time entitled to revoke the respective separate declaration of consent issued by means of the double-opt-in procedure. After a revocation, these personal data will be deleted by the controller. The Tinman 3D automatically regards a withdrawal from the receipt of the newsletter as a revocation. If one of the aforementioned reasons applies, and a data subject wishes to request the erasure of personal data stored by the Tinman 3D, he or she may, at any time, contact any employee of the controller. An employee of Tinman 3D shall promptly ensure that the erasure request is complied with immediately. Where the controller has made personal data public and is obliged pursuant to Article 17(1) to erase the personal data, the controller, taking account of available technology and the cost of implementation, shall take reasonable steps, including technical measures, to inform other controllers processing the personal data that the data subject has requested erasure by such controllers of any links to, or copy or replication of, those personal data, as far as processing is not required. An employees of the Tinman 3D will arrange the necessary measures in individual cases. If one of the aforementioned conditions is met, and a data subject wishes to request the restriction of the processing of personal data stored by the Tinman 3D, he or she may at any time contact any employee of the controller. The employee of the Tinman 3D will arrange the restriction of the processing. In order to assert the right to data portability, the data subject may at any time contact any employee of the Tinman 3D. The Tinman 3D shall no longer process the personal data in the event of the objection, unless we can demonstrate compelling legitimate grounds for the processing which override the interests, rights and freedoms of the data subject, or for the establishment, exercise or defence of legal claims. If the Tinman 3D processes personal data for direct marketing purposes, the data subject shall have the right to object at any time to processing of personal data concerning him or her for such marketing. This applies to profiling to the extent that it is related to such direct marketing. If the data subject objects to the Tinman 3D to the processing for direct marketing purposes, the Tinman 3D will no longer process the personal data for these purposes. In addition, the data subject has the right, on grounds relating to his or her particular situation, to object to processing of personal data concerning him or her by the Tinman 3D for scientific or historical research purposes, or for statistical purposes pursuant to Article 89(1) of the GDPR, unless the processing is necessary for the performance of a task carried out for reasons of public interest. In order to exercise the right to object, the data subject may contact any employee of the Tinman 3D. In addition, the data subject is free in the context of the use of information society services, and notwithstanding Directive 2002/58/EC, to use his or her right to object by automated means using technical specifications. If the decision (1) is necessary for entering into, or the performance of, a contract between the data subject and a data controller, or (2) it is based on the data subject's explicit consent, the Tinman 3D shall implement suitable measures to safeguard the data subject's rights and freedoms and legitimate interests, at least the right to obtain human intervention on the part of the controller, to express his or her point of view and contest the decision. If the data subject wishes to exercise the rights concerning automated individual decision-making, he or she may, at any time, contact any employee of the Tinman 3D. If the data subject wishes to exercise the right to withdraw the consent, he or she may, at any time, contact any employee of the Tinman 3D.